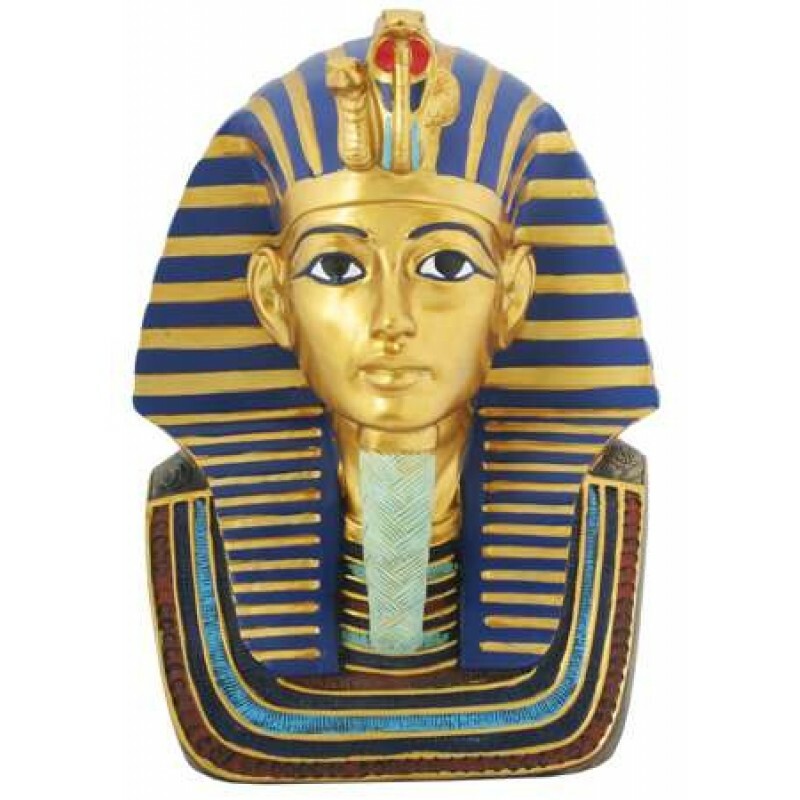 Beautiful 9 inch high King Tut Bust statue is perfect for a bookcase or tabletop based on the famous death mask from the Tomb of King Tutanhkamen. 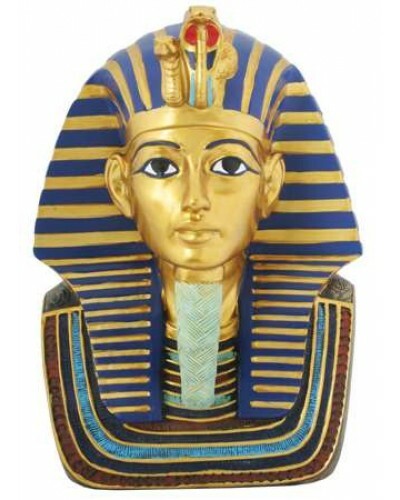 When the original of this incredible piece was found on the mummy of King Tutankamen, it amazed the art work with its inset carnelian, turquoise and lapis luzili - not to mention being made of solid gold! This cold cast resin version has all the beautiful colors of the original in hand painted detail instead of semi-precious gems. 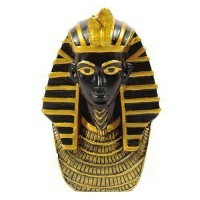 Not actually a mask, it is a solid statue for your table or desk standing 9 inches high. 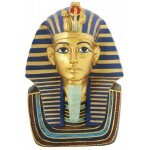 Item Number: YT-7290 | Approximate Size (Inches): 6.50 wide x 6.00 deep x 9.00 high | Approximate Shipping Weight: 4.00 lbs.